Learn how to make a singular sensation with a perfectly striking diamond solitaire engagement ring. The diamond solitaire engagement ring is an iconic symbol of commitment. Dazzling in its simplicity and striking beauty, a solitaire diamond on a lovely left hand leaves no doubt that the wearer is proudly planning her future wedded to the love of her life. Solitaire engagement rings continue to be the most popular choice for engagement rings around the world. They’re perfect for women who appreciate understated, classic style but still want to make a bold statement. A solitaire engagement ring makes the diamond the star of the show. You have to spend some time considering the kind of diamond you want. A solitaire diamond ring is also a great choice for men who aren’t quite sure what style of engagement ring to buy. Women can choose later to pair their solitaire engagement ring with an enhancer ring or diamond wedding band for more dazzle or personality, taking the pressure off their fiancés to select a distinctive style. When you choose a solitaire engagement ring, the diamond is the star of the show. That means it has to do most of the work to make the ring spectacular. With a solitaire, you have to spend some time considering the kind of diamond you want in addition to choosing the setting and style of the ring itself. 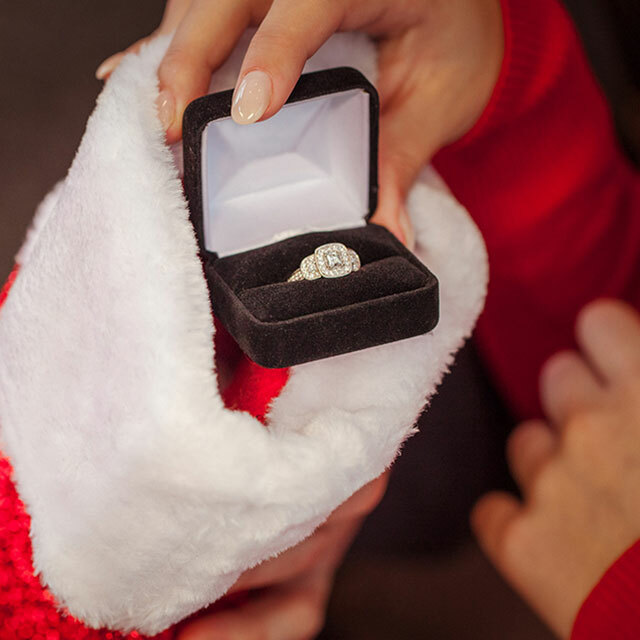 Many people actually shop for the diamond first, and then find the right setting for it. 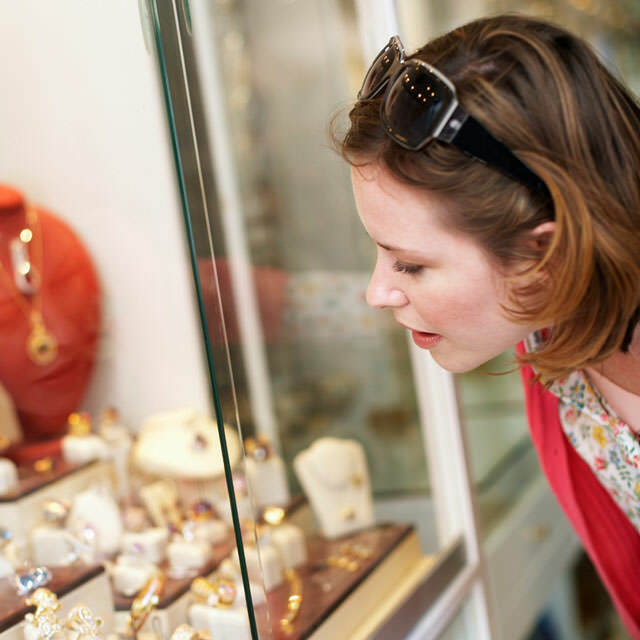 You may have heard about the 4Cs of diamond buying. These Cs — which stand for cut, color, clarity and carat — determine how diamond sellers grade and sell diamonds. There are tools for understanding a diamond’s worth and quality. Many people mistake a diamond’s carat count as a way of measuring size, but in fact it’s a measurement of weight. A 1-carat diamond can look bigger or smaller based on a lot of different factors, including how it’s cut, its shape and the size of its table. Focus less on the numerical carat weight and more on what impact the diamond makes when you see it in its setting. There are ways to make the solitaire diamond look bigger without paying for a higher-carat diamond. The round diamond is a classic favorite for solitaire engagement rings, but there is a variety of diamond shapes for every taste. The princess cut — a diamond cut as square or rectangular — is another popular shape for engagement rings, and women who prefer more glamour or drama may be drawn to emerald, marquise, pear or other fancy shapes. Learn about your options for diamond shapes. The 4Cs can also affect a diamond’s beauty and the way it shines. Color (the measurement of how white a diamond is) and clarity (the number of flaws inside the diamond) affect price. As you go down the quality scale, a diamond of poor color or clarity definitely is not as beautiful as one with higher grades — but typically you can’t see a big difference with the naked eye, especially in the middle of the scale. The most important factor in a diamond’s beauty is the way a diamond is cut — the angles and facets of a diamond determine how light shines through it and returns out the top. While it’s a bit harder to judge how a diamond is cut, you can look at branded diamond cuts or learn more about shape and cut to find the diamond with the most dazzle. You can also look at diamonds under a gemological microscope or compare them under lights to pick the one that reflects the most light. With solitaire engagement rings, you typically have two settings to choose from. 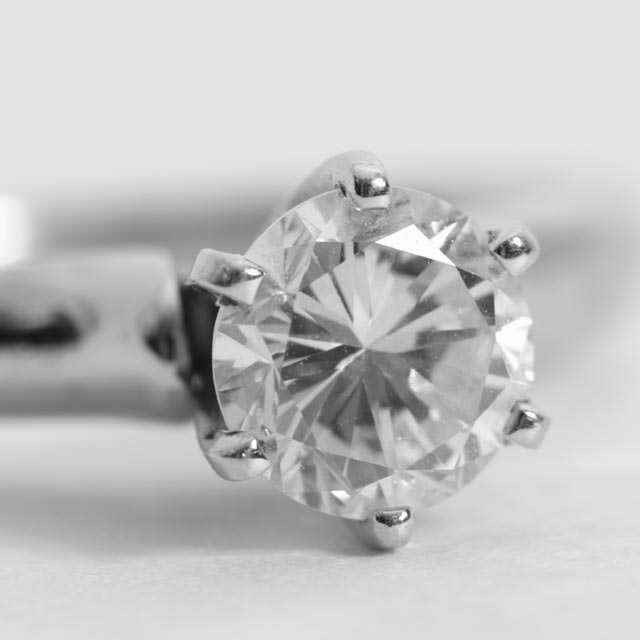 The prong setting uses four or six prongs to raise the diamond up above the band. A halo setting creates a spectacular diamond look that is feminine and delicate. A prong setting typically allows more light to shine through a diamond, while a halo setting gives wearers peace of mind without compromising the dazzling diamond sparkle and can create the impression of a larger diamond. 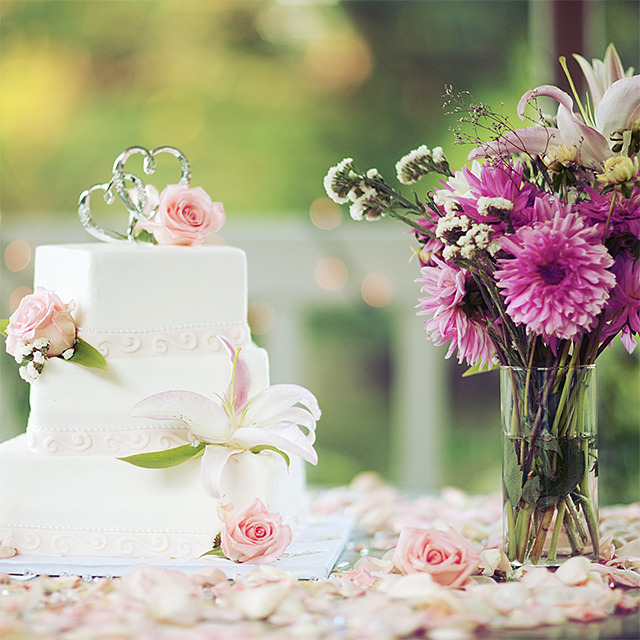 Learn more about your setting options. Thick or thin? White or yellow? Plain or engraved? Selecting the band for your solitaire will require you to think about your fiancée’s style and personality — and the jewelry she might want to wear with the diamond solitaire ring later on as well. With diamond solitaire engagement rings, one isn’t the loneliest number: it’s a powerful, beautiful sign of your love and commitment.